Transforming into a digital organisation has been a challenge for many mining companies since technologies like automation and data management systems have emerged. For a lot of companies introducing digital technology has meant stepping into the unknown, particularly in underground environments. These companies have been unsure of where to start or which systems and equipment they need. Other companies have been reluctant to make investments out of fear of the impact a technology like automation would have on employees and their jobs. For companies that have wanted to introduce new technologies, many simply couldn’t afford the innovations due to the mining downturn. This outlook has, however, changed, according to Sandvik APAC digitalisation business line manager Ville Svensberg, who believes mining companies are now more actively exploring the roll out of digital systems. He points to the growing acceptance of automation, even in underground environments, as an example of the switch in attitude. “I think there’s a lot more information about automation now; what the technologies are able to do and how to develop new types of competences in your workforce. It doesn’t always mean that you lose people,” Svensberg says. Sandvik has worked closely with two standout examples of mines that have introduced underground load and haul automation – Northparkes Mines in New South Wales, Australia and Resolute Mining’s Syama gold project in Mali, West Africa. 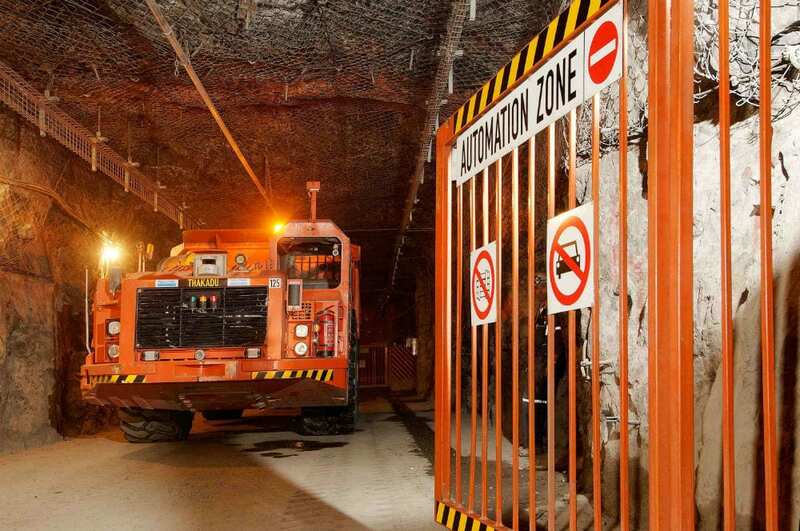 Northparkes hosts the world’s first 100 per cent underground mining production loading automation system, which delivers up to 25 per cent more out of an automated loader than a manual version. The loaders also provide lower maintenance costs and a safer environment by separating machines and people. Resolute has developed the world’s first fully integrated underground mining automation system at Syama, with various Sandvik equipment and its OptiMine solution for mine-wide operations management. Syama will also have the world’s largest underground loader and truck fleet automation system, including more than a dozen pieces of Sandvik AutoMine equipment. Northparkes and Syama have become world-leading mine-site models that have introduced comprehensive underground automation systems. Svensberg does, however, stress that these complete autonomous systems are not what most underground operations should aim for as they get started. 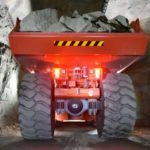 “I think it is encouraging that many Australian miners now realise that the mines can be fully automated,” Svensberg says. “It may be fast-tracking the digital change, but it still requires a lot from the mine and the workforce. 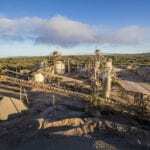 Sandvik urges mining companies to understand that a digital transformation is more likely to involve a series of small steps instead of moving head-first in like Northparkes or Syama have. First of all, mining companies need to be aware of the various benefits that are delivered by digital technologies, including improvements to health and safety, reducing costs, and increasing production. Sandvik works with mining companies to help them develop a path towards a digital transformation that is best suited to their organisation and operations. The OEM will initially focus on assisting them to identify the improvements that a digital project could deliver for them, such as continuous operations, less downtime, consistent output, high-speed production, tracking and reporting, and more. Svensberg says a variety of digital tools have developed and are available for mining companies to start realising these benefits. “It’s about having the mindset to take the new tools and put them into use – that’s the first step,” he says. Sandvik’s tools include My Sandvik, OptiMine and AutoMine – the backbone of the company’s three pillars for a digital transformation. My Sandvik is a digital platform designed for mining companies to access and manage the information generated by a Sandvik fleet. OptiMine is a modular information management solution that offers a real-time view of underground operations. AutoMine, which is available in four versions, is Sandvik’s automation product family for both surface and underground operations. When presenting these products to mining companies, Svensberg says the basic message is to enable the technology and then start building. “It is really flexible. Companies can pick and choose the right modules that fit their purposes, starting from the very little and then growing as they go,” Svensberg says. Sandvik’s AutoMine load and haul product family demonstrates how this approach works. AutoMine’s entry-level option – Tele-Remote – provides a mining company with a single-machine, smart teleoperation. It is a platform that can be upgraded to next level later on with a software update. Mining companies can also opt for, or scale up to AutoMine’s full onboard automation packages – Lite (single-machine automation), Multi-Lite (multi-machine automation), and Fleet (multi-machine automation with automatic fleet traffic control). Despite digital technology rapidly developing, Svensberg reminds mining companies that it won’t benefit their operations without the right organisational culture. Sandvik urges companies to focus on developing its ‘people, processes, and preparedness’ to drive this cultural change. In this regard, Svensberg believes there has been a shift in the mindset at mining companies that want to execute a digital transformation, especially from an automation perspective. “The culture change is getting better all the time. I think automation has now become a standard part of the industry,” Svensberg says. 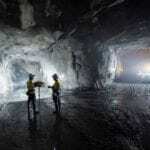 “I don’t expect that we will have many of these fully digital mines where there is nobody underground in the short term. We may already have one, Northparkes, but it is a really special case because of the early adopters and a mining method. As Svensberg suggests, the digital journey in an underground environment involves a series of small steps. And, while there is a long way to go, the industry has progressed along this path.